John is a native of Franklin, Kentucky. He graduated from the University of Kentucky, where he was selected to Phi Beta Kappa, and also attended Oxford University. 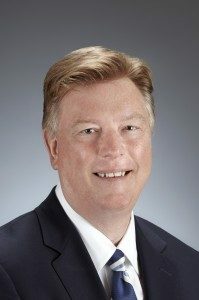 He received his Juris Doctor degree from the University of Kentucky in 1981 where he was a member of the Moot Court Board and the Kentucky Law Journal. John has maintained a civil trial practice throughout his career. In 1999, John was one of the founding partners of Phillips Parker Orberson & Moore, P.L.C. He was formerly a partner with the Louisville firm of Boehl Stopher & Graves where he worked for 18 years. John’s practice is concentrated on the defense of professionals, primarily doctors and lawyers, although he also handles a wide range of other types of cases, including products liability, trucking, and other high exposure personal injury litigation. He is an AV rated attorney and has been included yearly in The Best Lawyers in America since 1999. John is a Fellow of the American College of Trial Lawyers, and a Fellow of the International Academy of Trial Lawyers. John’s greatest satisfaction comes from the pursuit of excellence in trial practice and the mentoring of young lawyers. John has tried over 50 cases to verdict. John and Susan Phillips have been married for over 30 years and have two children. When not practicing law, they both enjoy reading, traveling and eating and drinking well.